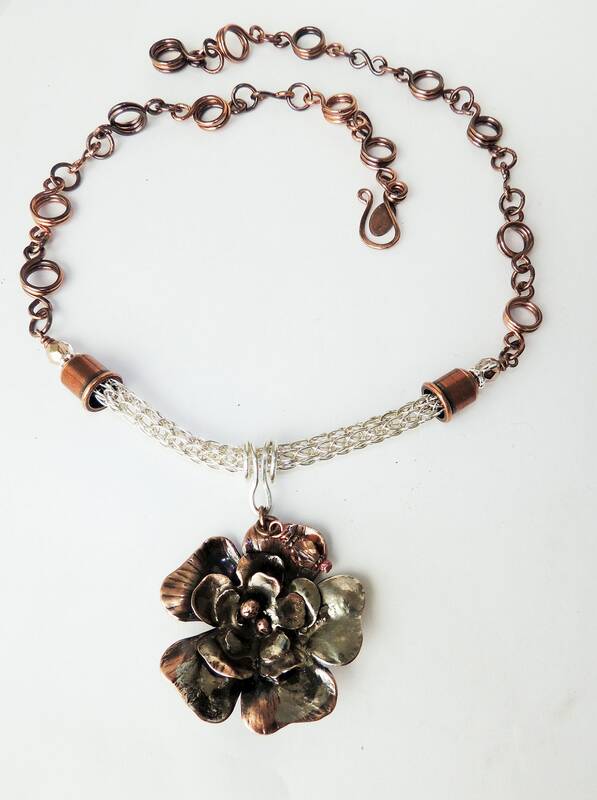 A mixed media of sterling silver and copper was used to create this necklace. I began by hand cutting the flower layers from copper sheet metal. The flower has been hammered and shaped to give it depth and contrast. 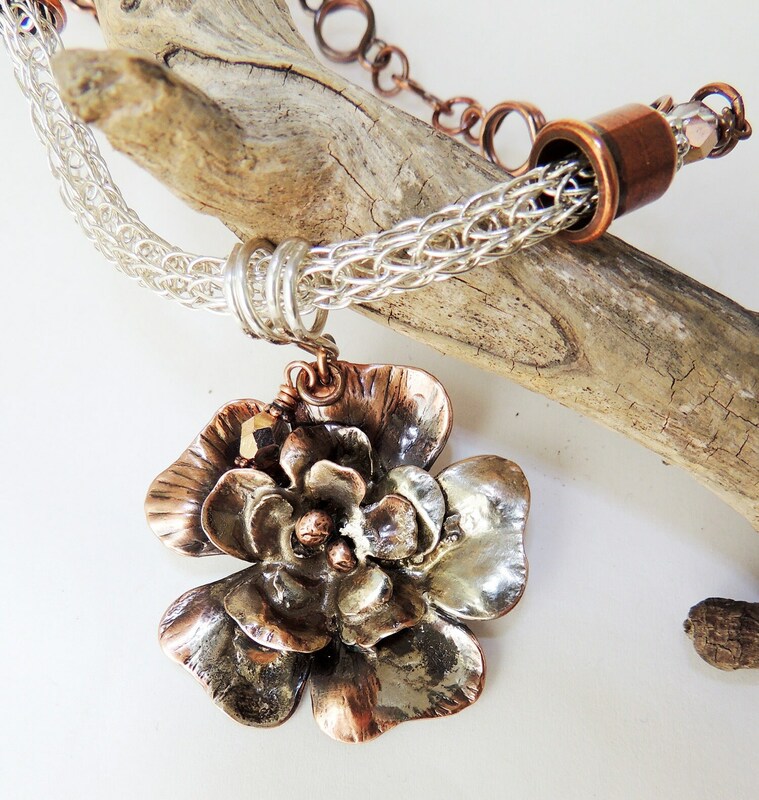 I then used a technique called reticulation and melted Sterling Silver over parts of the copper flower. I then gave it an oxidized patina and polished the flower after which I coated with a protective jewelry lacquer to preserve the patina. 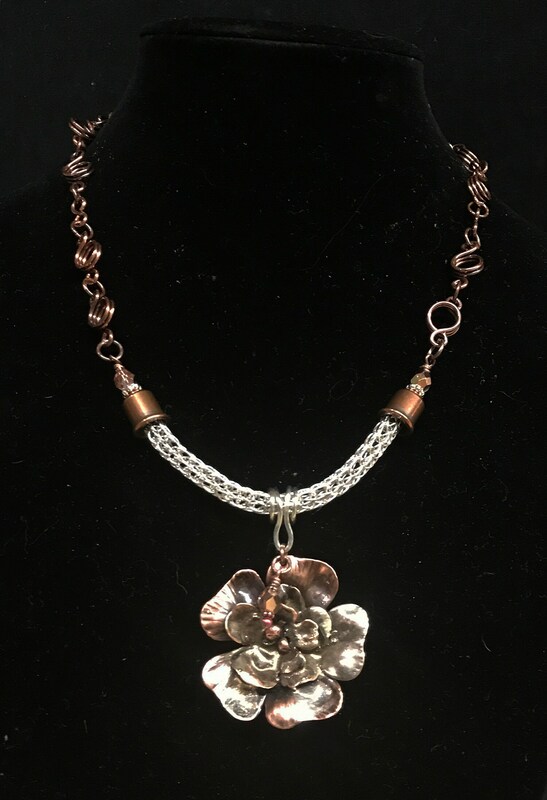 I placed this pendant on a section of sterling silver viking knit that I wove and added this to a handmade copper chain consisting of circle and figure 8 links. 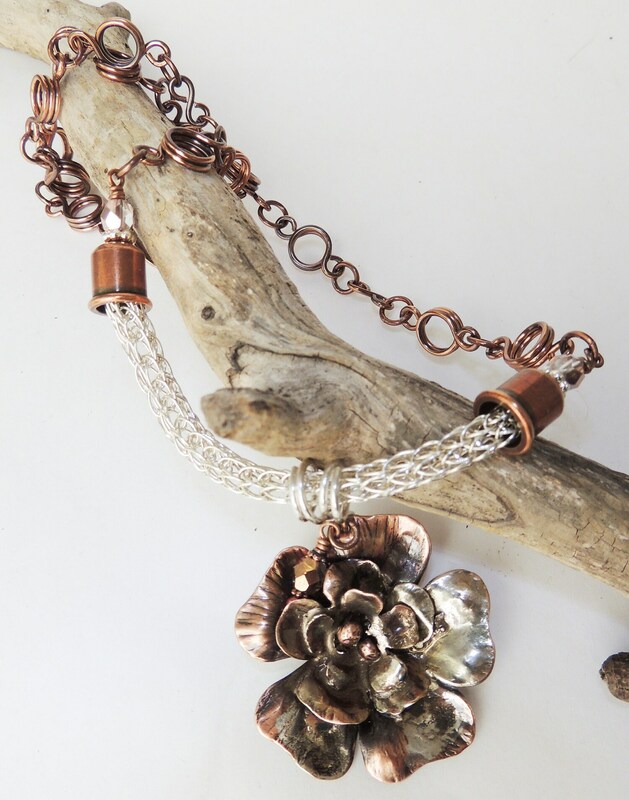 The flower measures 1 3/4 inches in diameter and the overall length of this necklace is 20 inches.